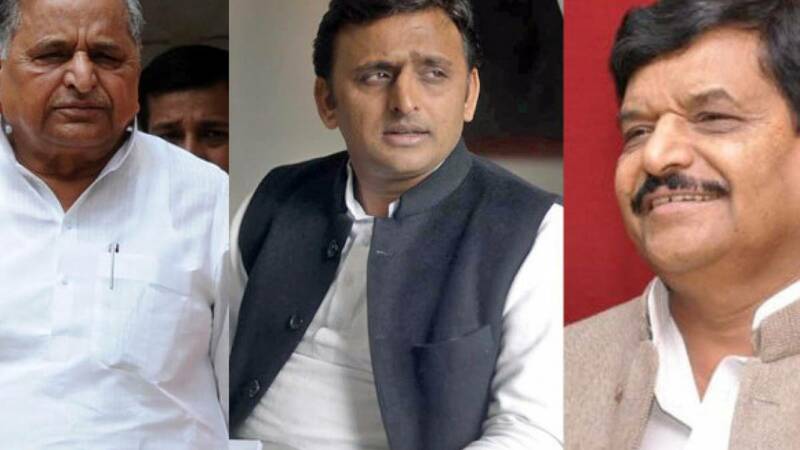 New Delhi : In a major decision of the Samajwadi Party ahead of Uttar Pradesh, party supremo Mulayam Singh Yadav replaced his son and Chief Minister Akhilesh Yadav as the state unit chief with senior minister Shivpal Singh Yadav. Later in the day Akhilesh Yadav took away three key ministerial berths from his uncle Shivpal PWD, irrigation and revenue and cooperative departments. Shivpal was given social welfare portfolio. #After Shivpal was declared UP chief by Mulayam Singh Yadav, Akhilesh took away three ministries from him and kept PWD with him. # Akhilesh further declared to launch a scheme to repair and improve damaged roads in the state. # Revenue, irrigation and PWD departments were taken away from Shivpal Singh Yadav and now CM Akhilesh Yadav will personally handle PWD. # Shivpal have been given social welfare department, while Awadhesh Prasad will head irrigation department and Balram Yadav will take over the Revenue department. # Mulayam had recently ticked off Akhilesh for allegedly humiliating Shivpal.